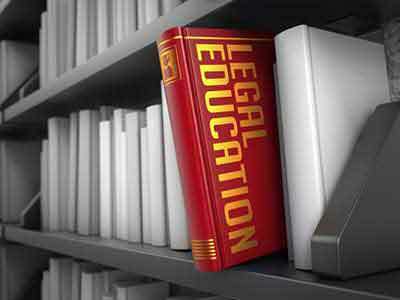 Becoming a paralegal is certainly an interesting career choice, which provides many of the fulfilling benefits of a legal career without the extensive requirements of becoming a lawyer. When people choose this career path, they are often attracted to the ability to specialize in one of several different legal areas. A common misconception about paralegals is that they all perform the same tasks, when in fact there are several different types of paralegals, each with their own specific duties. Anyone interested in becoming a paralegal should learn about the types of paralegals and what their responsibilities are. When a person is considering declaring bankruptcy, one of their first steps is to seek legal advice, which is why many paralegals choose to become bankruptcy paralegals. A bankruptcy paralegal must have a full understanding of complex bankruptcy law and will often be required to perform forensic research on their client’s accounts. If you’re interested in working as a consumer paralegal, it can be a good idea to examine some of the responsibilities of the profession and what requirements you must meet to enter this unique and exciting career. If you’re a paralegal who also has an interest in business, you could consider becoming a corporate paralegal. When you’re working as a corporate paralegal, you will be a part of a large corporation’s or business’s legal team and can be responsible for very important corporate legal tasks. Corporate paralegals regularly work on issues like acquisitions, mergers and lawsuits that are typically brought against a large corporation. The majority of paralegal professionals will work in a law firm in support of an attorney. However, if you want to become a consumer paralegal, you can offer your services directly to clients or you can be hired by different types of businesses. for paralegals who are extremely motivated and have good business sense, one of the most attractive options is becoming a freelance paralegal. An immigration paralegal will work directly with attorneys to assist immigrants navigating the complex process of citizenship. They will perform many legal tasks related to immigration, including learning about new laws and rules as they are developed. The biggest advantage in seeking a career as an intellectual property paralegal is the multiple opportunities for employment. Paralegals that enter into this field can be employed by large corporations, law offices and even the government. Like many specialized legal fields, working as a labor and employment paralegal comes with many important responsibilities, and entering into this profession isn’t something that anyone should do lightly. Despite what the name of this profession may suggest, working as a law clerk is a very advanced and highly competitive position. If you’re considering a career as a law clerk, it’s important that you learn the requirements for entering this career and the duties you will be required to perform. Although many people become legal secretaries through advancement, you can also receive training meant to prepare you for this profession. Those interested in working as a legal secretary should learn about the basics of the career and what qualities make for a successful legal secretary. Aspiring paralegals who are interested in trial law can become a litigation paralegal. A litigation paralegal works in support of attorney who specialize in taking courses to trial. Although there are no specific requirements for becoming a paralegal that differ from a standard paralegal, you will need to understand how court trials work, how to identify evidence that will be useful in a trial and how to perform legal research attorneys need to win cases. Working as a nurse paralegal is an enticing prospect for many nurses because it increases their career opportunities and potential earnings. However, because it is such an important position, the qualifications to become a nurse paralegal are rigorous. Paralegal specialists are responsible for providing legal support in several different areas. Where regular paralegals will assist an attorney, a paralegal specialist can work with lawyers, judges and unit commanders. Another common type of paralegal that you could become is a real estate paralegal. Other than commercial real estate, real estate paralegals can work in almost every area of this industry. Typical tasks of a real estate paralegal include writing lease agreements and facilitating both the selling and buying of homes. Many real estate paralegals are also licensed real estate, which improves their career opportunities. In addition to the previously mentioned paralegal specialties, there are several other types of paralegals currently working in this profession. For example, if you’re interested in paralegal career that is focused on helping clients through trying times, you could become either a family law paralegal or an estate planning paralegal. If you want the possibility of working with high-profile clients, such as artists or celebrities, you could work as an intellectual property paralegal. Whatever legal discipline that you’re interested in working in, there is a paralegal career that will be ideal for you. If you’re looking for a career that is both rewarding and provides a variety of opportunities, then your best choice is to become a paralegal. There are several types of paralegals, all of them responsible for assisting attorney’s important legal tasks.